We all have food combinations that seem normal to us, but then you snack in front of a friend and their lips begin to curl and their eyebrows scrunch in disbelief that you are eating those foods together. Sometimes we eat unusual pairings in secret hoping we won’t be judged. Let’s put all the judgement aside and enjoy these genius creations together. Like the old saying goes, don’t knock it till you try it! Some things just need a little crunch, right? Chips are not just for dipping. 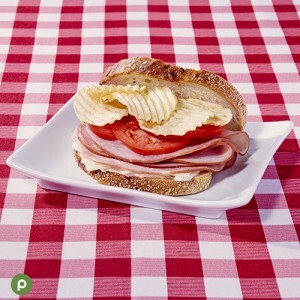 Chips on sandwiches, casseroles and ice cream are becoming more and more common now that people have discovered that these bizarre pairings are actually delicious. 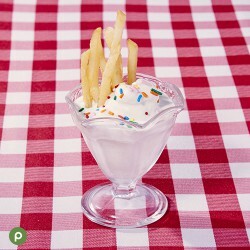 Try adding chips to your favorite sweet treat to give it the perfect crunch and added saltiness. Want Some Ketchup With That? 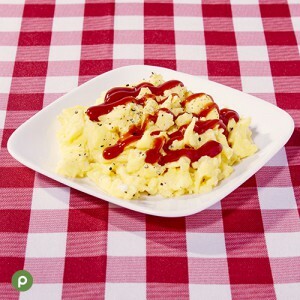 Now you may be thinking that ketchup is a condiment, so it can top whatever you want, but many argue that foods like meatloaf, eggs, mac and cheese and bananas should not have ketchup on them. Have you tried it? You may like it. This selection may seem normal to some, but hot sauce wasn’t necessarily thought of as a “universal topping.” While hot sauce is commonly used on savory items, many use it on almost everything. Chocolate hot sauce products are now being made, and it’s being used as a popcorn topping. Don’t be surprised when you see someone carrying hot sauce in their bag for a convenient go-to topping at any time. This may be a pairing that many are excited about. Bacon has earned its way into many dishes and we aren’t mad about it. Doughnuts topped with bacon are becoming the norm. 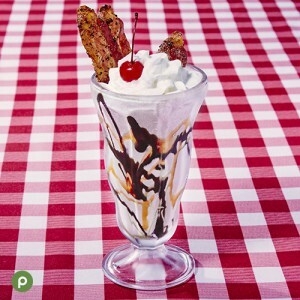 Are you down to try milkshakes made with bacon or chocolate covered bacon? How about bacon flavored beverages or bacon wrapped fruit? It might become your new favorite. We know you are probably thinking that most of the pairings listed aren’t that bizarre. Surprisingly the amount of people who pair up unlikely foods is pretty high, but what about those real bizarre combinations? Like French fries dipped in a milk shake? 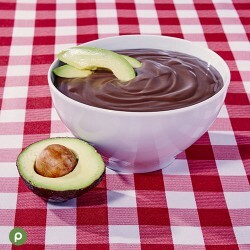 Or how about using avocados to make chocolate pudding? Or chocolate hummus? Watermelon and feta cheese? 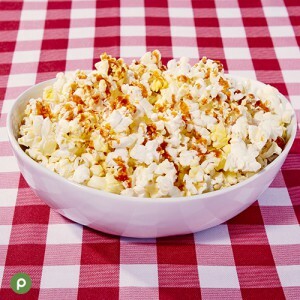 These unlikely pairs are actually delicious snacks to try. You may have found yourself saying “yuck” a lot and wondering who on earth would eat those things, but before you judge, try it. You may have just found your very own new bizarre food pairing! Is there a bizarre food pairing you want to share with us? Visit us on Facebook, Twitter or Instagram or share in the comments below. We would love to hear what crazy food you have come up with!